Yes, for this month ONLY, the meeting is on the second Wednesday! Doors open at 6pm, and all-ages are welcome. I may have added to any confusion by publicizing a different date in the email blast and at the January meeting... SORRY!!! There is a small parking lot (enter on NW 17th) only after 6pm. And a side door for ADA access only. Please use the front door on NW Glisan St., so you can be sure to get your raffle ticket! Some things just go together! Like catfish & greens! Like jambalaya & rice! Like beer & burgers! Catfish Lou's brings you LAUGHTER & TEARS! From 7-8pm Chris Clark brings the best comedy talent to Lou's stage. He and his guests will have you rolling on the dance floor -- with laughter! 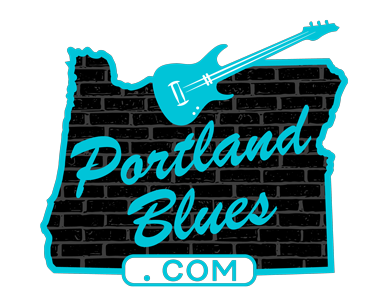 Then at 8:30 we'll bring our usual brand of the BEST BLUES from Portland and beyond! Ben Rice's music is deeply rooted in traditional blues, yet at the same time fiercely original. His guitar playing earns labels like "fearless," "inventive" and "powerful," and he routinly brings audiences to their feet with his stunning and emotionally honest vocal delivery. Ben is as much at home fronting his electric band as he is captivating a crowd solo with nothing but his voice and his acoustic resonator guitar. "Piper has the kind of voice that lulls men to their doom. It's soft and sweet when it wants to be, scared and vulnerable a moment later, then ripping through you like a razor... Piper commands songs utterly."